Pennsylvania and federal law provide many different ways to appeal a criminal conviction. Our Philadelphia criminal appeals attorneys can help. If you or a loved one lost or pleaded guilty at the trial level and are unhappy with the outcome, our Pennsylvania criminal appeals lawyers may be able to help. We are dedicated, understanding defense attorneys who will use our skill and expertise on your behalf. Call or text 267-225-2545 to discuss the potential for an appeal with one of our Philadelphia criminal appeals lawyers. When considering an appeal, it is absolutely critical that you move quickly. There are strict deadlines for filing an appeal which begin to expire within as few as ten days of sentencing. If those deadlines are not met, you could lose your appellate rights forever. The Philadelphia Criminal Appeals Lawyers of Goldstein Mehta LLC have extensive experience representing clients after trial or plea. Our criminal lawyers handle post-sentence motions for re-sentencing, acquittal, and new trials. We also handle direct appeals in criminal cases to the Pennsylvania Superior and Supreme Courts as well as Post-Conviction Relief Act Petitions based on newly discovered evidence, changes in constitutional law, and ineffective assistance of counsel. It is important that you do not delay as you will begin to give up your appellate rights with each passing day. If you are considering an appeal, it is critical that you speak with one of our criminal appeals and PCRA lawyers today. Thank you for contacting us. One of our attorneys will contact you shortly to discuss how we can help. The Appeals Process- How can I get a new trial? The most common question asked by prospective clients who are pursuing a criminal appeal is, "How can I get a new trial?" Instead of immediately appealing to the Superior Court, the fight for a new trial begins in the trial court which found the defendant guilty. The first step in any appeal is to ask the trial judge to reconsider the verdict or sentence. This means filing a post-sentence motion within ten days asking that the judge find that there was actually insufficient evidence to support a conviction, that the weight of the evidence was so contrary to the verdict that the Judge or Jury erred in convicting, or that the sentence imposed was unreasonable and excessive. Likewise, a motion to withdraw a guilty plea must be filed within ten days of sentencing or it will be almost impossible to challenge the validity of the plea later. If a post-sentence motion is not filed within ten days of sentencing, many of these issues are waived on appeal. This is particularly true in the case of appeals challenging an excessive sentence or the weight of the evidence as motions must be filed in order to preserve those issues. Therefore, if you are considering an appeal, it is critical that you move quickly and consult with an experienced criminal defense lawyer immediately to preserve these rights when challenging a conviction. Once a post-sentence motion has been filed, the trial judge may order a hearing or the judge may grant or deny the motion without a hearing. The judge must rule on the motion within 120 days or it will automatically be denied by operation of law, and at that point, a notice of appeal must be filed within thirty days or the right to appeal may be waived forever. If the post-sentence motion is filed following a violation of probation sentencing hearing, then the thirty day period for an appeal is not tolled by the filing of the post-sentence motion and the notice of appeal must be filed even if the probation judge has not ruled on the motion. Our criminal appeals lawyers have successfully litigated post-sentence motions in both our own cases and cases where the defendant was represented by other counsel at trial. We have successfully filed post-sentence motions for new sentences, acquittals due to insufficient evidence, and new trials. Our Philadelphia criminal defense lawyers are also able to help you with a direct appeal to the Superior Court. After the trial judge has ruled on the post-sentence motions or they have been denied by operation of law, a criminal defendant may appeal his or her conviction directly to the Superior Court. The defendant must appeal within thirty days of sentencing, or if post-sentence motions have been filed, within thirty days of the ruling on the post-sentence motions. It is important to note that although the filing of post-sentence motions may toll the deadline for filing an appeal following a conviction, post-sentence motions do not toll the deadline for filing an appeal following a revocation of probation. Regardless of the situation, the most important thing to remember is that the clock starts running right away. Once an appeal has been filed, the trial judge will order the defendant to file a Statement of Errors Complained of on Appeal pursuant to rule 1925(b). The Statement of Errors identifies for the trial judge the issues which the defendant seeks to raise on appeal, and any issue which is omitted from the Statement of Errors cannot be raised in the appeal with few exceptions. Once the Statement of Errors has been filed, the trial judge will write an opinion addressing those issues and why the conviction should be affirmed. The Superior Court will then set a briefing schedule under which the Appellant (the party which filed the appeal) will submit a brief first and then the Appellee (the party which won in the lower court) will respond. Once the briefs have been filed, the Superior Court may schedule the case for oral argument before a panel of three judges. Following argument, the Superior Court will rule on the issues raised in the appeal in a written opinion, which may be published or unpublished. In making its ruling, the Superior Court will review the record and briefs prepared by the appellate attorney and the prosecutor and evaluate whether the trial court committed any legal errors which would justify overturning a conviction. The entire process could take anywhere from six months to a number of years depending on how quickly the parties and the trial court submit their filings and whether the parties request extensions. Our defense attorneys work to litigate appeals in a timely manner as we recognize that delay does not benefit a client who has been convicted of a crime and is incarcerated or suffering the other consequences of a conviction. There are a number of potential issues which could be addressed in an appeal. For example, if the trial judge misapplied the law in denying a motion to suppress a gun, the Superior Court could suppress the firearm and order a new trial without that evidence. Without the ability to introduce the physical evidence, the Commonwealth may be forced to drop the charges. Depending on the error, the Superior Court could rule in favor of granting the defendant a new trial or an acquittal. If the initial Superior Court panel of three judges denies the appeal, then the defendant may petition for the entire Superior Court to reconsider en banc instead of just a panel of three judges, or the defendant may ask the Pennsylvania Supreme Court for review by filing a Petition for Allowance of Appeal. 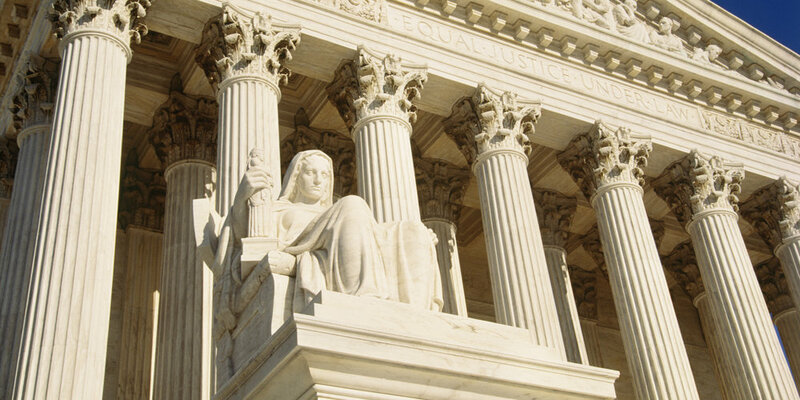 The Supreme Court reviews only a limited number of cases each year, and those cases typically involve novel issues of law which have not yet been addressed by the Court. The Supreme Court may also consider a case involving a settled issue because it no longer agrees with a prior decision. In a direct appeal, the appellant may only challenge legal errors. This means that in a direct appeal, the defendant cannot introduce new evidence or argue that the judge or jury should not have believed certain witnesses. Instead, a direct appeal is limited to the record which was created at trial. Therefore, our criminal appeals lawyers will conduct an extensive study of the trial transcripts and exhibits in order to locate any legal errors which could lead to relief. We will combine our extensive knowledge of the rules of criminal procedure, evidence, and constitutional law and our experience in handling appeals to determine the best possible arguments to pursue with the Superior Court or the Pennsylvania Supreme Court. Our Pennsylvania PCRA lawyers can also help you with a Post-Conviction Relief Act Petition. After a defendant has exhausted his or her direct appeals, a criminal defendant has one year from the denial of the direct appeal to file a Post-Conviction Relief Act Petition seeking a new trial. There are a number of grounds for a PCRA Petition. Most commonly, a defendant will file a PCRA alleging that either trial or appellate counsel were ineffective. In that scenario, the defendant must show that there was something that the trial attorney did that was ineffective or lacking in a reasonably strategic basis. For example, the trial attorney may have failed to investigate an alibi or hire an expert witness. In addition to showing ineffectiveness, the defendant in a PCRA petition must be able to demonstrate that the defendant also suffered prejudice. This means that the lawyer's ineffectiveness changed the outcome of the trial or sentencing. A defendant may also potentially file a PCRA petition when the defendant uncovers new evidence which could not have been found at the time of the trial or when a constitutional rule of law changes which can be applied retroactively and would have affected the defendant's case. For example, if a witness with exculpatory testimony comes forward who was not known about at the time of trial, the discovery of that witness may be the basis for a PCRA petition. The one year time limit does not apply to this type of petition, but there are other extremely strict deadlines for filing a PCRA when the defendant learns of new evidence or the law changes. One of the most common issues that we see in PCRA Petitions is that the defendant may have requested an appeal or the filing of post-sentence motions, but the trial attorney did not meet the filing deadlines, and therefore the defendant's rights were waived. In many cases, if we are able to act quickly enough, we are often able to file a nunc pro tunc PCRA Petition to have the defendant's appellate rights reinstated. These petitions are most likely to be successful when the defendant has some evidence that the defendant did, in fact, request that the trial attorney file a post-sentence motion or appeal. For example, if the trial attorney admits it, the defendant's request is on the record at the sentencing hearing, or the defendant has a copy of a letter which was sent to the trial attorney, then these PCRA Petitions to reinstate appellate rights are often successful. Even if the defendant does not have any proof of the request for an appeal, then the defendant may testify at an evidentiary hearing that the defendant did request an appeal. If the judge believes the defendant's testimony, then the appellate rights could be reinstated because prejudice is presumed when the trial lawyer fails to file a requested appeal. Again, there are strict time limits for filing each type of challenge, so it is critical to consult with experienced criminal defense appellate counsel as soon as possible when considering post-sentence motions, a direct appeal, or a PCRA petition. PCRA petitions and direct appeals are extremely complicated, and there are many criminal lawyers who are excellent at trial but not as good at appeals. Successful appeals and PCRAs require an extensive knowledge of trial procedure, appellate procedure, constitutional law, and the rules of evidence. Appeals and PCRAs require a thorough review of the record for error by trial counsel as well as a full re-investigation of the case for potential witnesses and evidence that could have made a difference at trial. It can be very difficult to re-open a case after conviction, and it is very rare that you will have more than once chance to do so. It is critical that you hire a criminal appellate attorney with a firm understanding of how to litigate these cases and win. It is very common to challenge a conviction based on the sufficiency of the evidence. In this type of appeal, our criminal appeals lawyers will argue to the Superior Court that although the judge or jury found sufficient evidence to convict the defendant, the fact finder actually erred because there was no evidence introduced at trial to prove one or more of the elements charged by the prosecution. Sufficiency of the evidence is an issue which can always be raised on appeal even if post-sentence motions were not filed. For example, in a drug case where the Commonwealth failed to introduce sufficient evidence that the defendant actually intended to sell the drugs that were recovered by police, it may be possible to challenge the sufficiency of the evidence to support a Possession with the Intent to Deliver conviction on appeal. In every criminal trial, the Commonwealth is required to prove its case beyond a reasonable doubt. This means that in cases where there are other non-criminal explanations for how something occurred or it is possible that someone else could have been responsible for the crime, it may be possible to challenge the conviction based on the sufficiency of the evidence. It is important to remember that we cannot re-litigate credibility issues in any direct appeal because it is the trial judge's or jury's job to decide who to believe. Instead, appeals are limited to issues of law. However, whether or not the Commonwealth presented sufficient evidence is an issue of law which can be raised on appeal. In some cases, it is possible to challenge the weight of the evidence on appeal. However, it is extremely important to remember that the weight of the evidence cannot be challenged on appeal if post-sentence motions were not filed within ten days of sentencing. Therefore, it is extremely important to consult with an appellate lawyer immediately after a finding of a guilt because valuable rights are lost if post-sentence motions are not filed. In the post-sentence motion, the defense asks the trial judge to set aside the verdict and grant a new trial because the verdict was against the weight of the evidence. The trial court must exercise its discretion in reviewing the entire record, and the question on review is whether, despite the abstract sufficiency of the evidence to sustain the verdict, the court abused its discretion in concluding that the evidence did not preponderate sufficiently heavily against the verdict that a serious miscarriage of justice may have occurred. If the trial judge denies the post-sentence motion for a new trial based on the weight of the evidence, then the defendant may appeal the trial court's decision to the Superior Court. The Superior Court will not evaluate the weight of the evidence itself; instead, the Superior Court will review whether the trial court properly exercised its discretion in ruling on the motion. Thus, it is a difficult standard to meet, but if the evidence overwhelmingly showed that the defendant was not guilty but was still technically sufficient to sustain a conviction, it may be possible to obtain a new trial based on the weight of the evidence. Provided that they were properly preserved for appellate review through the filing of pre-trial motions and making of objections at trial, it is possible to appeal based on many issues of law and the denial of pre-trial motions. For example, if the trial court denies a defense objection to the improper introduction of the defendant's previous criminal record at trial, that could be the basis for an appeal to the Superior Court. Likewise, if the trial court denies a pre-trial motion to suppress or a motion to dismiss on speedy trial grounds that the court should have granted, then that could also be the basis for an appeal. One of the most important issues on appeal is whether the trial court provided the correct jury instructions to the jury prior to deliberations. If the trial court gives incorrect jury instructions or fails to give certain instructions that it should have given, then it may be possible to appeal on the basis provided that defense counsel makes an objection on the record following the charging of the jury. In some cases, the defendant may accept that the jury or judge found him or her guilty but feel that the judge imposed a sentence that was far too harsh. In these cases, it may be possible to appeal the judge's sentence. The first step in appealing a sentence is to file a motion to reconsider sentence within ten days of sentencing. If that motion is not filed, then it becomes almost impossible to challenge the sentence on appeal. The motion to reconsider the sentence must allege that that the sentencing court abused its discretion by imposing an excessive and unreasonable sentence. Once the post-sentence motion to reconsider is filed, the judge has 120 days in which to rule on the motion, and that period may be extended by motion for an additional 30 days. If the judge does not rule on the motion within that time period, it will be denied automatically by operation of law, and the defendant will then have thirty days from the denial of the motion to appeal to the Superior Court. In Pennsylvania, judges have a tremendous amount of discretion in selecting from various sentencing options. However, Pennsylvania sentencing law does not provide for unlimited discretion. There are still a number of rules that the just must follow in imposing a sentence which could be subject to challenge on appeal. For example, although the sentencing guidelines are not binding, the judge must calculate the sentencing guidelines and at least consider them when imposing a sentence. In some cases, there may be a dispute over which guidelines apply which could lead to an appeal. For example, if the defendant was convicted of a gun charge, the guidelines may vary based on whether or not the gun was loaded. If the gun was never actually recovered, it may be possible to appeal if the court applied the guidelines for a loaded gun without sufficient evidence that the gun was in fact loaded. Even when the court imposes a guideline sentence, there are potential appeal issues if the court did not fully and consider the sentencing factors, imposed a sentence which was not individualized, and imposed a sentence which was unlikely to end during the defendant's life span. Likewise, it may be possible to appeal when the court imposes a clearly unreasonable sentence. 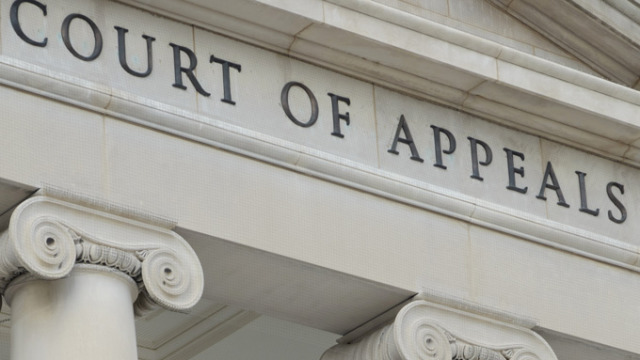 In cases where the court departs from the sentencing guidelines, there are additional grounds for appeal. Instead of requiring that the sentence have been clearly unreasonable, the Superior Court will consider the sentence under the reduced standard of unreasonable. If the departure from the guidelines was unreasonable and unsupported by the record or due solely to the type of charge, it may be possible to challenge a sentence on appeal. These are just some of the issues which may be raised on appeal. There are many others which could potentially be raised in a direct appeal or in a Post-Conviction Relief Act Petition. The most important thing to remember is that that the time deadlines begin to run immediately, so it is critical to have an experienced appellate lawyer conduct a thorough review of the record as soon as possible. Our criminal attorneys have litigated countless appeals and PCRA petitions. Even after a conviction, we will keep fighting for you to see that justice is done and to undo a wrongful conviction or excessive sentence. Just because you have been convicted does not mean you should give up. We may be able to help. If you or a loved one need an experienced Pennsylvania appellate attorney or a lawyer for a PCRA petition, call us at 267-225-2545 today for a complimentary 15-minute criminal defense strategy session. PA Superior Court: A really specific anonymous tip might be enough for a stop.